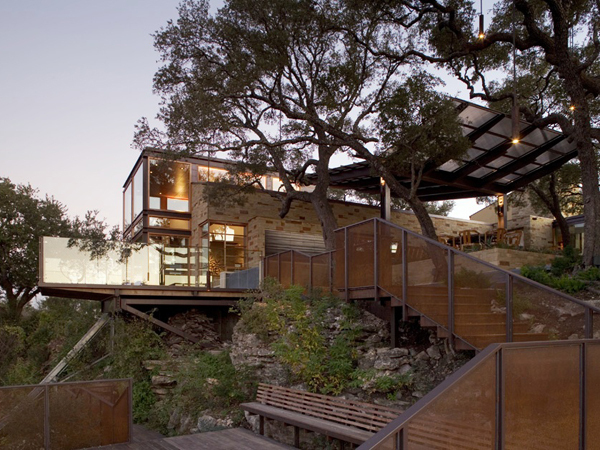 The Lake Travis Retreat was envisioned as a home that would accommodate a growing family and play host to friends and extended family. Critical design decisions were vetted among the family and decided by vote, with each family member getting equal say. The result is a house that stays true to its purpose as a place where family and friends can spend precious free time enjoying one another and nature. 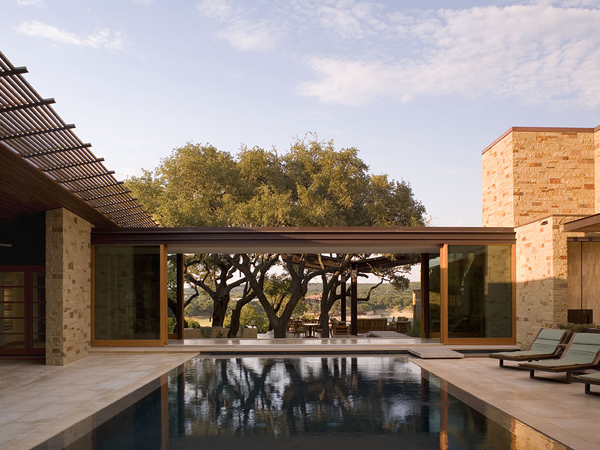 The plan of the house was laid out around two distinct courtyards, connected by a transparent gallery. When the floor to ceiling gallery walls are open, the two courtyards become one continuous space. A steel frame butterfly roof in the lakeside courtyard makes it possible to fire up the outdoor grill, even when it is raining. 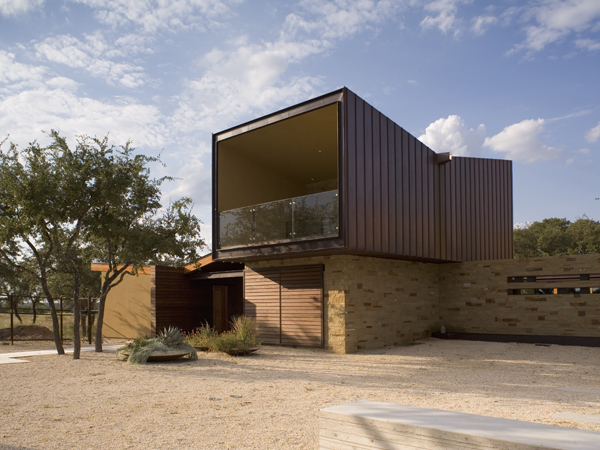 While the butterfly shape roof of the raised, copper clad pavilion casts off rainwater through an oversize scupper.